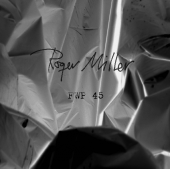 Mr. Miller has released many (many) albums. His releases started in 1980 (with Mission of Burma), but one release was recorded in 1969/1970. Here is a pretty old DISCOGRAPHY PAGE, though it is extensive for the time. A new one is in the works. 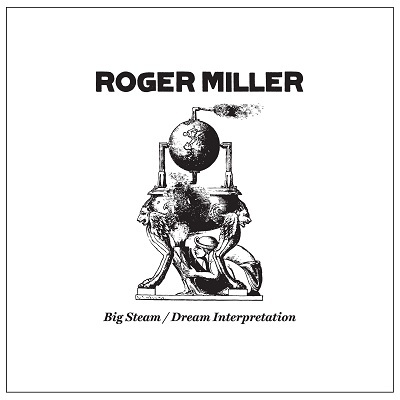 BIG STEAM b/w DREAM INTERPRETATION, Miller’s second “solo rock 45”, and the proto-type for The Trinary System, is now out on GOOD ROAD Records. Copies can be ordered at GOOD ROAD, and the songs can be listened to there as well. This is GOOD ROAD’s first release, but we can expect many more to come! The BIG STEAM VIDEO was posted in mid-September, 2012. It was picked as “Video of the Week” in the Boston Phoenix. Big Steam reviewed as “Single of the Month”! The Skinny (Glasgow) Review. Drop down 3 records below Sinead O’Connor. Review of Big Steam, and Mr. Miller in general from The Vinyl District. AUDIO: Edit from Angled Scene. Larry Dersch, drums. The download is not the “pure digital file.” The file that one can download is a performance of the 45 – you hear the needle go down, the record being played, and the needle lift off. This is, after all, a 45.